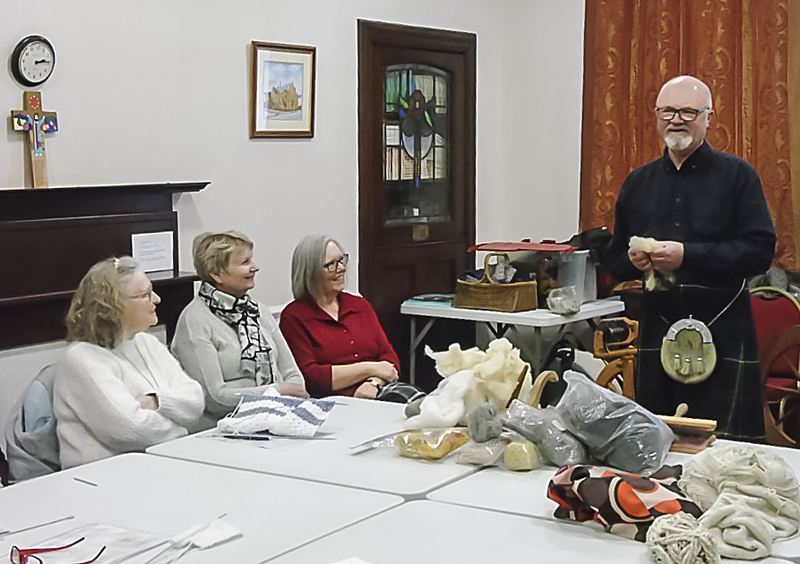 We knit while nattering and also share what skills we have with each other. 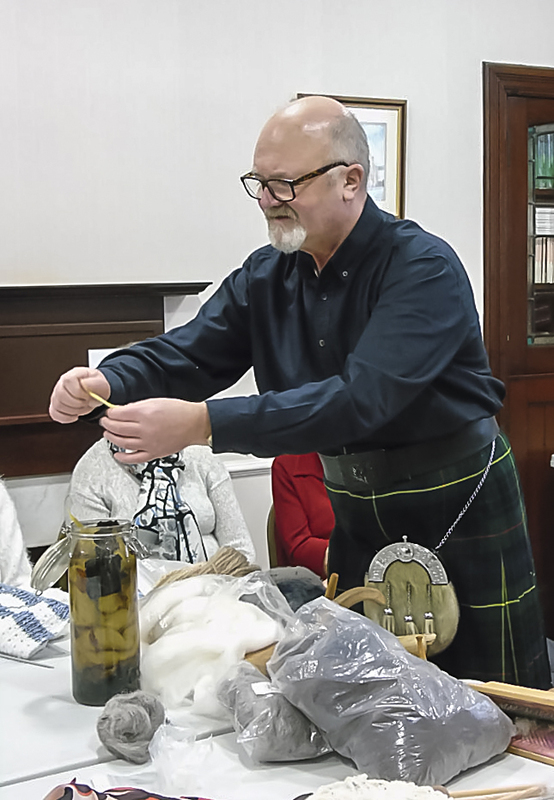 At a recent meeting, we enjoyed something a bit different - David Moran from Bankfoot, a self-taught weaver and dyer, provided an extremely interesting talk and demonstration on a traditional and age-old method of providing warm material for the clothing of a family – often a home and cottage industry involving the whole family in some way and another. For over 40 years David, a former dyer working in the Scottish textile industry, has pursued his interest in textiles perfecting his ‘hobby’ in sourcing the various fleeces – the very starting point in producing cloth – from all over the UK and the Continent each with its own characteristics requiring skills built up over many years to produce finely-dyed wools ready for weaving. 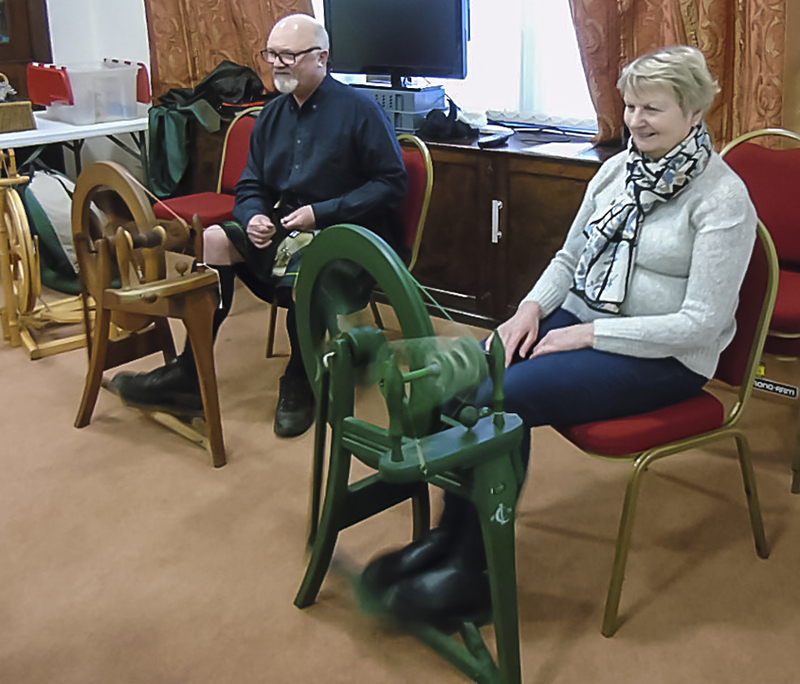 Highlight for many of us was the opportunity to try our skills at two traditional spinning wheels David brought along for the afternoon.